This letter was originally sent to administration and staff April 23. 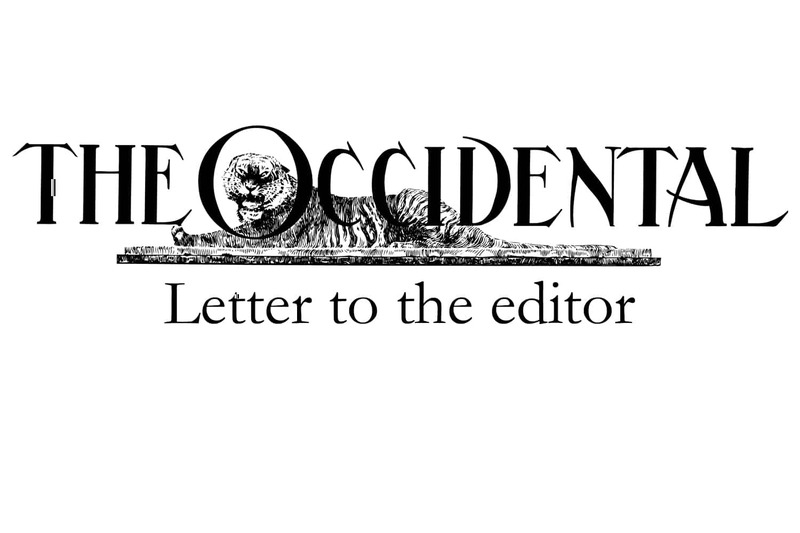 The Occidental is publishing it in its original form. We the undersigned tenured Oxy faculty are writing in response to your announcement that Tal Becker has been named the 2018 Jack Kemp ’57 Distinguished Lecturer. It is not clear how this speaker was chosen and for what purpose. Dr Becker published a book in 2006 entitled Terrorism and the State: Rethinking the Rules of State Responsibility whose focus is the “principles by which state responsibility for private acts of terrorism is determined in international law,” but the invitee is not a researcher whose focus is on the Israel/Palestine question. We find it unfortunate and even a bit troubling that Occidental College has invited another non-scholar to give a public lecture on a topic where think-tank driven advocacy and propaganda too often takes the place of considered exchange and debate. Indeed, the invitee’s primary vocation since the late 1990s has been to serve as an advocate for the Israeli government in a legal capacity and in the area of public diplomacy. He is currently a fellow at an Israeli think-tank that seeks to “create a new narrative regarding the significance of Israel for Jewish life.“ In other words, his principal job “is to respond to growing feelings of disenchantment and disinterest toward Israel among an ever-increasing number of Jews worldwide,” that is, to persuade Jews outside of the state of Israel to support it by redefining reality rather than changing it. Such political advocacy is not aimed at deepening our knowledge of the Israel/Palestine question. On the contrary, it is aimed at obfuscating the issue. These are not the views of Israel’s “lunatic fringe,” but of the central leadership of its current government. It’s not surprising that a rapidly growing percentage of Jews in the US and elsewhere are “alienated” from Israel and that “creating a new narrative” about the increasing use of deadly force against unarmed Palestinians and the increasingly racist discourse that often accompanies and justifies it, is not working. Current prime minister, Benjamin Netanyahu, pioneered the method of argumentation and proof used by Donald Trump today: a mix of conspiracy theories, denunciations of unimpeachable evidence as fake news, while telling lies exposed as such within 24 hours. Avigdor Lieberman claimed that the journalist, Yasser Murtaja, killed by the IDF on April 6th was in reality a paid Hamas operative wearing a disguise. This assertion was quickly revealed to be a falsehood by both the Washington Post and the International Federation of Journalists. The statement by representatives of the IDF that the demonstrators shot by snipers were all armed met a similar fate. You have conferred an honor on someone whose life’s work has been to replace the often crude and offensive language of Israel’s current government with anodyne phrases that misrepresent the brutal reality of the Occupation. To have done so, even as the IDF was using live ammunition on unarmed demonstrators, killing 31 and wounding at least 1000 (over the past two weeks), is highly insensitive to all those, including Jews, who mourn the deaths of the innocent and for whom a pep talk on behalf of Israel (no matter how polished its language) is simply and obviously inappropriate.